Extra-curricular activities are an important component of student development. At St. Greg's, activities are available for student participation in a broad range of development areas. We encourage all of our students to be active participants in a program of their choice. 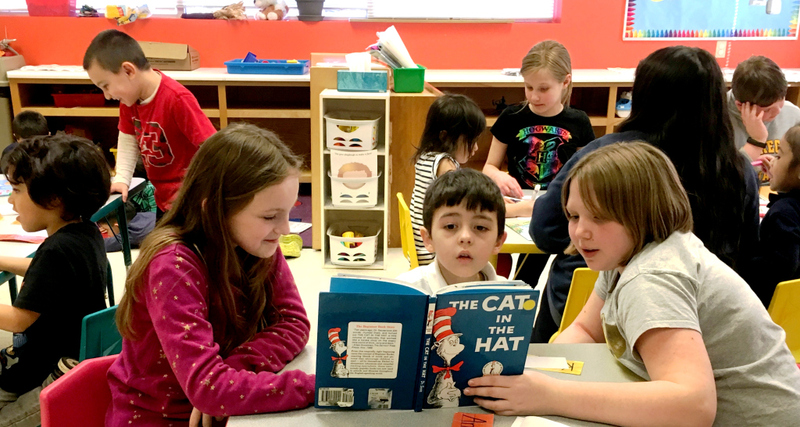 Younger children are partnered with older students to work on special projects, reading, or "buddied" up for field trips. This is a great opportunity for older students to gain self-confidence while assisting the younger students. It also lets the younger students get comfortable in the school setting. Several projects that the “Buddies” have paired up on are carving pumpkins, building gingerbread houses and visiting the Firehouse. The Buddy program has fostered great friendships. Students from the seventh and eighth grade have the opportunity to become a member of the SKY Team, the school service group targeted for junior high students. SKY is an acronym for Sharing Knowledge with You. This year, we are proud to say that 65% of our junior high has volunteered to be a member of SKY team. The service these young people provide is very much appreciated and extremely valuable in helping others find academic success. Seventh and eighth graders have the opportunity work with younger students during Success Club. These older students assist their peers and younger students by helping with homework, reviewing for tests and quizzes, playing math games to drill math facts, and in many other helpful capacities. Success Club is held after school to assist students with homework. Students are identified by their classroom teacher as benefiting from this extra assistance. The purpose of Success Club is to help students prioritize their homework. Students will start homework they feel they may have some questions about and need further explanation from a teacher or SKY team member. Students are also given strategies on how to study for tests. Success Club services approximately 22 students in grades 3 through 8. It is staffed by 3 to 4 teachers and 3 SKY team members. Success Club meets on Tuesday, Wednesday and Thursday. 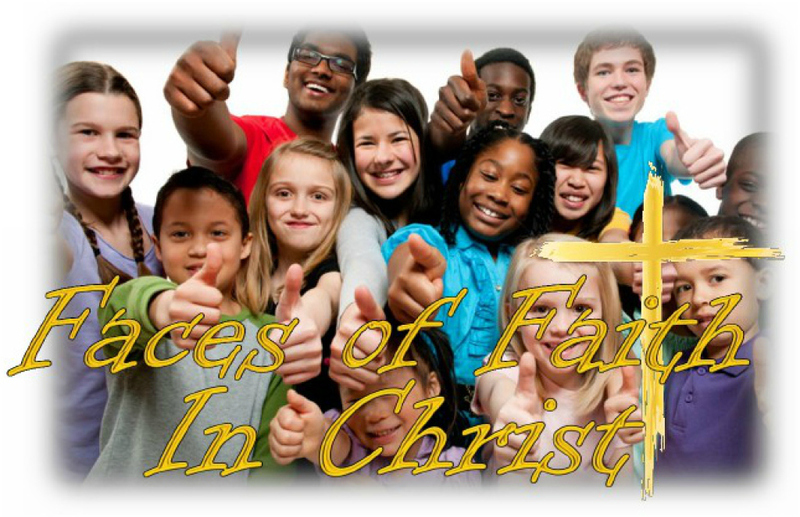 Our religious theme for this year is ‘Faces of Faith in Christ’. There are countless ways in which we bring our theme into life throughout the school day. In honor of our parish motto and values, our students will participate in a number of community service projects this year. It is our hope that these efforts will have a positive impact on parish and local families. • Students in K4, along with their 4th grade ‘buddies’, will make fleece blankets for children in need of comfort at LaCausa Crisis Nursery. • Students in K5 will make seasonal decorations for members of our parish. These will include Thanksgiving Turkeys, Christmas cards and Easter placements. • Students in Grade 1 will create and make a variety of seasonal decorations for parish members who are in a nursing home. These gifts will be distributed by our parish Pastoral Associate. • Students in Grade 2 are creating a ‘class group’ that will permit them to go on line to practice their math facts. Every correct answer will earn 10 grains of rice that will be donated to fight hunger throughout the world. We look forward to learning the number of grains that are donated this year! • Students in Grades 4 and 5 are continuing their tradition of collecting ‘Cans for Technology’. This permits our school to earn technology dollars that increase the quality of our program. • Students in Grade 5 are writing books and reading stories to their school ‘buddies’. • Students in Grade 6 are honored to support parish members who are ‘home bound’. The parish Pastoral Associate will provide 30 names and these individuals will receive cards and letters of support throughout the school year. • Students in Grades 7 and 8 will staff the Junior High School SKY Team Program. They will serve as volunteers in our after-school ‘Success Club’, assisting younger students with their homework. In addition, they are ‘on call’ to assist with any special needs in the school or parish.